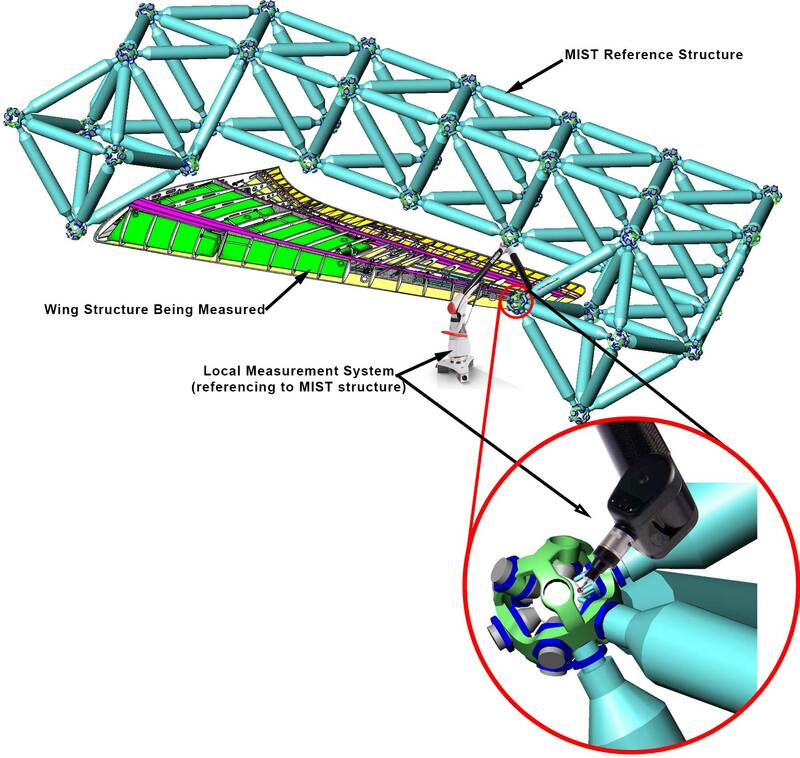 I’ve worked a lot with large-scale coordinate measurements in aircraft and spacecraft assembly. These measurements are typically not fully traceable and their accuracy is limited by environmental effects, especially temperature. For the next generation of aerospace structures, these limitations will need to be overcome to achieve natural laminar flow and part-to-part interchangeability. We need a measurement system that addresses these issues. I set out to create such a system, working with metrologists at the National Physical Laboratory and Physicists from both the University of Bath and the University of Oxford. This open access paper describes our initial analysis. Our solution bounces lasers off the surface of steel spheres to directly measure the distance between them. We are able to accurately identify the center of the spheres and their radius is also accurately known. These measurements are combined into a 3D network, with multiple distance measurements from different directions for each sphere. The coordinates of each sphere’s center can then be calculated with direct traceability to the fundamental definition of the metre. 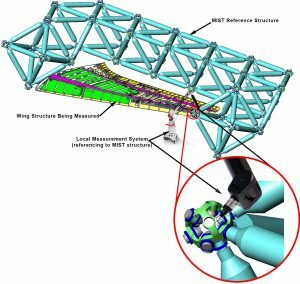 Our analysis shows that this system could deliver the step change in accuracy needed for the next generation of aerospace structures. Environmental effects typically limit the accuracy of large scale coordinate measurements in applications such as aircraft production and particle accelerator alignment. This paper presents an initial design for a novel measurement technique with analysis and simulation showing that that it could overcome the environmental limitations to provide a step change in large scale coordinate measurement accuracy. 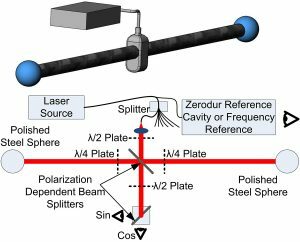 Referred to as absolute multilateration between spheres (AMS), it involves using absolute distance interferometry to directly measure the distances between pairs of plain steel spheres. A large portion of each sphere remains accessible as a reference datum, while the laser path can be shielded from environmental disturbances. As a single scale bar this can provide accurate scale information to be used for instrument verification or network measurement scaling. 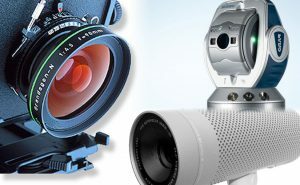 Since spheres can be simultaneously measured from multiple directions, it also allows highly accurate multilateration-based coordinate measurements to act as a large scale datum structure for localized measurements, or to be integrated within assembly tooling, coordinate measurement machines or robotic machinery. Analysis and simulation show that AMS can be self-aligned to achieve a theoretical combined standard uncertainty for the independent uncertainties of an individual 1 m scale bar of approximately 0.49 µm. It is also shown that combined with a 1 µm m−1 standard uncertainty in the central reference system this could result in coordinate standard uncertainty magnitudes of 42 µm over a slender 1 m by 20 m network. This would be a sufficient step change in accuracy to enable next generation aerospace structures with natural laminar flow and part-to-part interchangeability.